← Happy 5th Birthday NFPTweetup! “Facebook donate button”- UK charities do not have to wait till – mid 2014 (US only for the moment but expect to see it here mid 2014). Have a look at our donate button on http://www.facebook.com/villagebyvillage we have had this up and running for over 6 months now by using http://www.charitycheckout.co.uk. But we haven’t had any donations via the Facebook page yet? So not sure how useful it is? Thanks for your comment Neil. 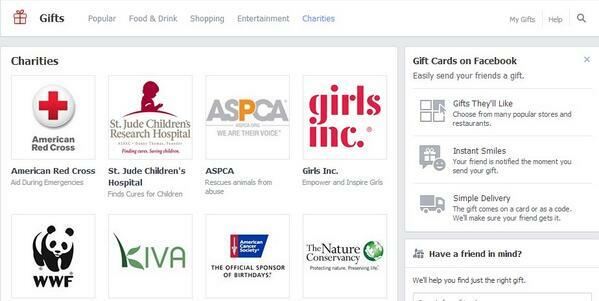 They do have to wait for Facebook’s Donate button – yours is through an App right? Personally I have mixed feelings about a donate button on Facebook. I do believe it will work for big campaigns such as Macmillan’s Biggest Coffee Morning but for the average charity, I can’t see it making much difference. The problem is you have to get people to your page in the first place to make a donation, which means spending money on Facebook advertising.